The Armenian people share a history with a small nation at the bottom of the world – New Zealand. During the Armenian Genocide, New Zealand soldiers were witnesses to atrocity, and sacrificed their lives to defend survivors. In the aftermath of the First World War, New Zealand citizens mobilized behind the international effort for Armenian relief. However, over the last century, that history has been forgotten and denied in favor of building a ‘special relationship’ with the Republic of Turkey. 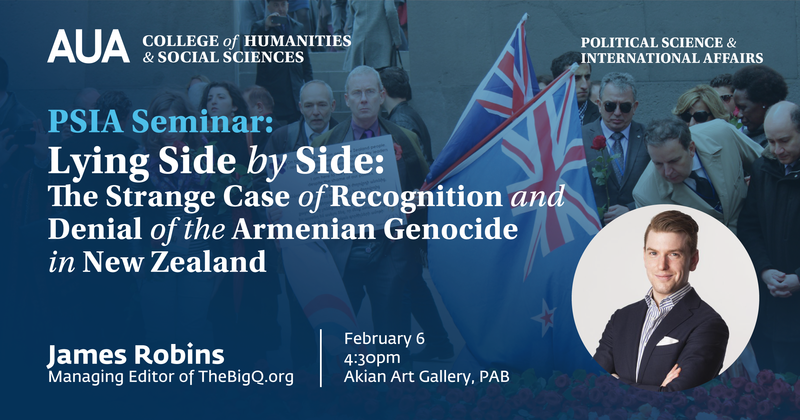 What does the Armenian Genocide mean in New Zealand? How has such a tragic event, with deep and intimate connections to that country and its history, been forgotten? What are the consequences of that forgotten past for both denial and recognition?